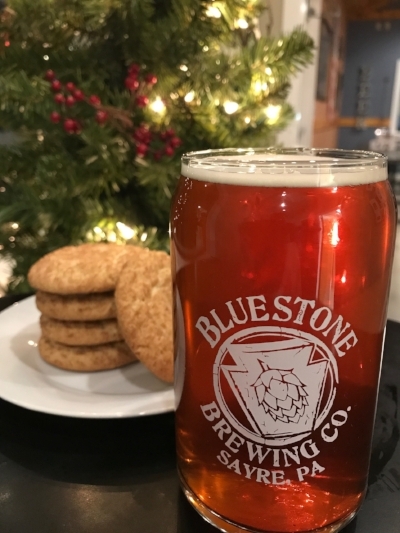 Bluestone Brewing Company, Sayre, PA - Events — Bluestone Brewing Co.
Trivia is a great way to beat the frigid temperatures Get a group of friends or co-workers together and come out for dinner and trivia. Be Proud!!!! Show off your classic vinyl collection!! Each Thursday from 7-8:30 we will play vinyl hits that you bring in and request. The more diverse the music, the more fun we will have!!! We welcome back one of the most unique voices to perform at Bluestone. CC’s soul/funk/folk alternative blend will help us celebrate St. Patty’s Day with style!! Be a leader!! Grab a group of friends and have some fun playing Team Trivia!! Chris Davis does a great job of mixing up questions and topics (so everybody doesn't feel so dumb)!!! Grab a friend or two, create a fantastic team name, and win yourself a $25 gift card. Snag a few friends for a Christmas-spirit challenge. Each person who wears an Ugly Christmas Sweater will receive an opportunity to win some Bluestone merch!!! $3 beers for college-id kids 21 or older. We are excited to bring back Jim and Rebecca for a groovy acoustic gig!! A soothing Winter Flight will go well with some bluesy entertainment!! for our first annual Small Business Saturday Event! As a small business, we would like to provide other small businesses the opportunity to share their craft, talent and products with the local community. 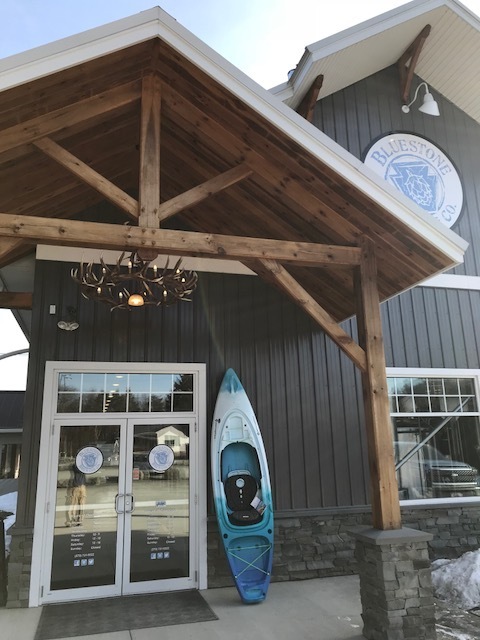 Stop in for a bite to eat, a craft beverage and some shopping to support our LOCAL Community! As you kick off your holiday festivities, come out and listen to a phenomenal local group jamming to classic, folk, alternative, and modern rock songs. Be that leader amongst your friends and/or family meet at Bluestone for some quality craft beer, craft food, and craft soda!! We are excited to welcome Ampersand Project back to Bluestone for our Third Anniversary Party!! If you haven't heard them yet, check out some of their YouTube videos - they will be great for our celebration!! We are hosting a Private Corporate Event on Tuesday, 11.13and will be closing to the public at 5:00. We thank you for your understanding and hope to see you during our 3 Year Anniversary Weekend!! Come out and enjoy the best live music duo in the area!! Justin and Chris will be jamming with some 90s Alternative, country classics, and current country hits. These guys are one of the most followed music groups in the Twin Tiers - and we are proud to call them friends!! Enjoy some nice spring air with some great food, great beer, and great music. The 29th Annual Pennsylvania Apple & Cheese Festival will be held at the historic Manley-Bohlayer farm this Saturday and Sunday. We will be offering tastings, as well as selling bottles, merchandise and Gift Certificates. Be sure to stop by the Beer Tent to see us! Visit www.paapplecheese.com for more information. 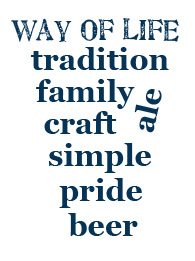 WE ARE proud to offer a simple and traditional ale that defines your way of life. Details of our tailgate party as well as game-time (3:30-7:00) $3 Blue and White pints will be announced shortly. Wear your blue and white for special giveaways. 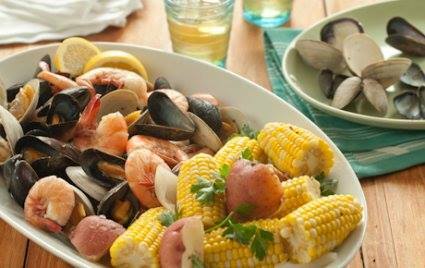 Join us for an End of Summer Bluestone Boil!! Tickets will be available on August 1st - stop into the brewery or call us to purchase your $27 tickets. 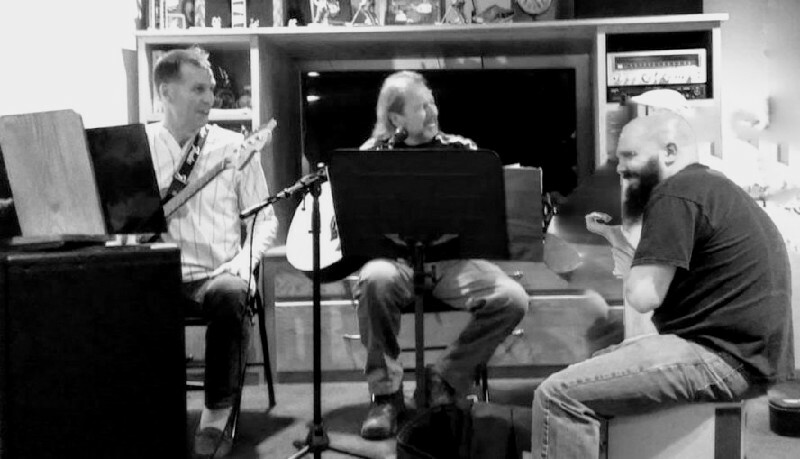 We are excited to bring back a new band to play at the brewpub, Souls Hill Sinners. One of our very own Pint Pack members, along with friends, will be playing a wide range of blues, classic rock, folk, and other favorites on the back porch. Come out and support our local musicians as they craft their own art. Tommy Rocco (7:30-10:00) - You never know what Tommy is going to bring each performance - this past time, he dusted off the ole harmonica and ripped it up!!! Along with Billy Joel, he will be performing some old-school country tunes from Elvis, Johnny Cash, Hank, George Strait, and more. Toss in some Neil Diamond, Phil Vasser, and our very own Bluestone song he wrote and you have a great evening of entertainment. Start Pints on the Porch off right with a mixed drink special and Happy Hour discounts from 4-6. Stay the evening and earn some bragging rights while your team wins Team Trivia. Enjoy some great food and beers, have some fun while catching up with friends and family!! Chris does a great job of mixing up questions and topics (so everybody doesn't feel so dumb)!!! Let's see who can come up with the best team name that represents Spring 2018, and win yourself a $25 gift card. Our Blueberry Lager seasonal release is finally here!!! Over the last two and a half months, this beer has been doing its thing in the fermenter. The result - a very smooth, lightly fruity lager!! 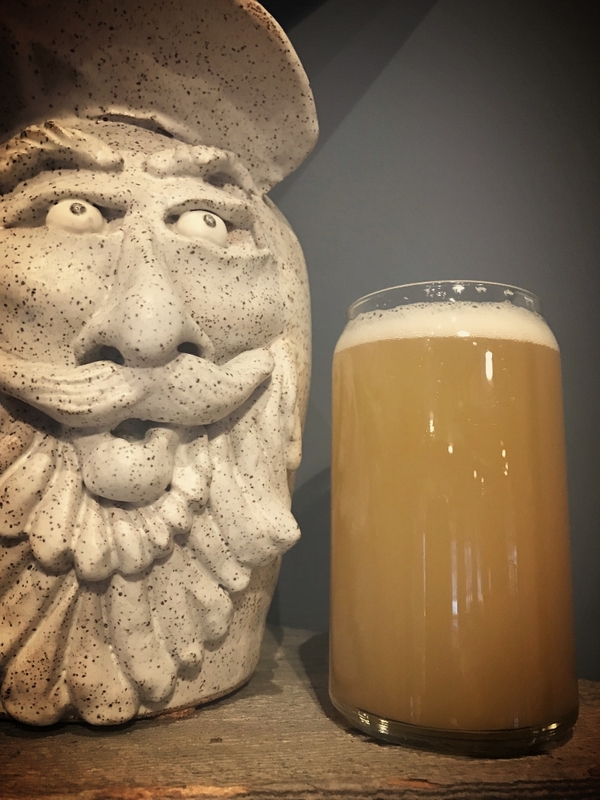 Additionally, to kick off this beer rerelease, we will have Acoustic Pawnshop in house playing your favorite classic rock, blues, folk, and all around enjoyable acoustic hits. The weather looks nice, so both the enclosed porch and taproom will be open. What a great way to celebrate National Beer Day!!! Starting at noon we will be unveiling our 2018 version of Strawberry Blonde Ale. This light-bodied beer has a nice golden color, a sweet fruity aroma, and a subtle strawberry taste that provides a refreshing choice for everyone's palette. Beginning at 7:30, Tommy Rocco will be providing fantastic entertainment while playing hits from the 60s through the 2000s. As many in the area know, one can never predict what instrument or "new" song Tommy has up his sleeve for this show. Overflow parking is at Tops. Date Night?? These talented artists are a part of the "big band", but perform fantastic acoustic sets for venues like ours. Dinner, quality beers, and great music combine to make a memorable evening! Cheers!! We are proud to welcome some new artists to Bluestone!! The opening gig will be Jon Schweiger performing acoustic covers. The duo to follow, AC Retro, is comprised of AJ Burns and Cody Waltman, performing everything from classic rock covers to new age acoustic. It's time to kick the Christmas weekend off with this gritty country act, Devon Franks and Jake Parshall!! Meet up with some friends and family members to jam with this very talented duo! 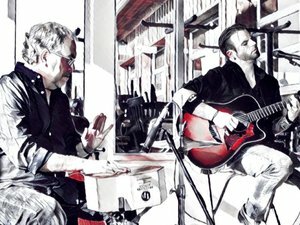 With both of these guys recording in Nashville over the last year, they have been one of the hottest acoustic acts in our area. A nostalgic trip back to grandma’s cookie tray! A balanced blend of cinnamon and vanilla infused into our flagship Imperial Blonde Ale. An instant winter classic!! 7.2% abv and 9 IBUs. Need to shake of Thanksgiving Eve?? Need to get some LOCAL options to share with family and friends?? We will be serving beer only - Pints and Bluestone to Go (bottles and growlers) from 10 until noon.